Blended with Kiwifruit extract to soothe and restore the skin’s natural moisture levels, this delicate foaming wash is designed especially for gentle cleansing of the face. Softly fragranced with the luscious aroma of Kiwifruit, this cleanser lifts grime and impurities from the skin leaving the complexion refreshed and radiant. 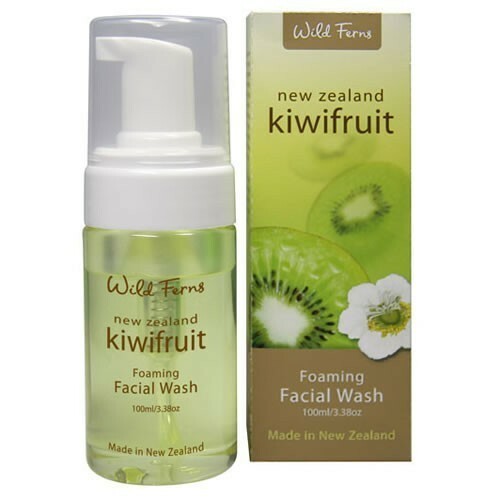 How to use Wild Ferns Kiwifruit Foaming Facial wash? Wash your face firstly with water. Apply small amount of facial wash and rinse it off with water. Use daily for better and effective results.